For the VR version, see Fallout 4 VR. Extensive modding support and community. Frame rates above 60 FPS may cause the game physics to behave strangely and the lockpicking/hacking mini-games to behave erratically. 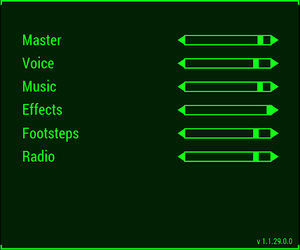 The Fallout Pip-Boy App is available for Android, iOS, and Windows Phone. 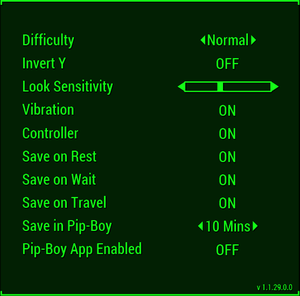 This feature can be enabled under Options, Gameplay, by setting Pip-Boy App Enabled to On. (Free) Optional, much higher-quality textures for high-end machines. Requires an additional 58 GB of space. 8GB of RAM and VRAM are recommended. 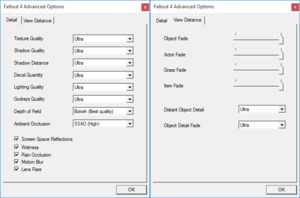 Open Fallout4Custom.ini or create it if it does not exist. BethINI is a .ini optimizer that also works as a configuration utility. It has well tested and optimized presets that could improve performance and fidelity. Extract the contents and run BethINI.exe. 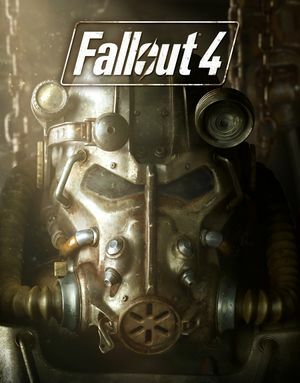 In the Setup tab make sure Fallout 4 is selected as Game. In the Basic tab choose either Vanilla or BethINI presets and choose one of the available presets. BethINI presets are optimized and trimmed versions of Vanilla presets. Modify settings in each tab as desired. After finished click Save and Exit in the Basic tab, BethINI will sort your .ini files alphabetically and merge already existing tweaks in your previous .ini files. It also supports other Bethesda titles such as The Elder Scrolls V: Skyrim Special Edition, Fallout 3, and Fallout: New Vegas. A comprehensive bug fixing mod that aims to eventually fix every bug with Fallout 4 not officially resolved by the developers. Adjusts shadow distance and volumetric lighting and godrays quality dynamically to achieve targeted frame rate. Disables frame capping during loading screen to accelerate loading speed. Download the archived file and extract dxgi.dll, dynaperf.ini and the corresponding fallout4-addresses-x.x.x.x.ini file depending on your game version to game directory. fTargetFPS= - Target FPS is the highest FPS that the game will be allowed to run at, and is also the baseline for 100% load. bLoadCapping=[0/1] - Setting it to 1 enables frame capping during loading screens which disables the loading speed acceleration. Since the values are changed dynamically by modifying the values in-memory, the mod is version-dependent and each update in the game executable requires a new memory mapping. To use it with ReShade graphics mod rename ReShade's dxgi.dll to dxgi_linked.dll. Fixes stuttering issues when there is no more available video memory, occurs when using high resolution texture mods. Can force V-sync, includes a frame limiter to help prevent stutter. Download the latest version of ENBoost for Fallout 4. ApplyStabilityPatch=[false/true] - Stability fixes, the effectiveness varies from user to user. If this worsens the performance, set to false. UsePatchSpeedhackWithoutGraphics=[false/true] - Recommended to enable for maximum performance. ForceVideoMemorySize=[false/true] - Allocates more video memory from RAM and the pagefile. VideoMemorySizeMb=[RAM + VRAM - 300MB for SSDs, or the VRamSizeTest result - 300MB for HDDs] - [See Notes] Forces video memory available in Mebibytes. ForceVSync=[false/true] - Different than the game's default Vsync, and helps prevent stuttering and screen tearing. VSyncSkipNumFrames=[0, 1, 2, or 3] - Mainly for users with high refresh rate monitors (>60Hz) and should be set to '0' for other users. EnableFPSLimit=[false/true] - Caps the frame rate to assigned value. This will solve the physics issues relating to high frame rates, may also solve screen tearing. FPSLimit=[61.0] - The frame rate you wish to cap the game at. DisableFakeLights=[false/true] - Disables rim lights for all characters. Has a small performance impact. If you use ReShade or any other tool that uses the d3d11.dll file, rename that tool's DLL file to dxgi.dll. If the game is installed on an SSD, do not use the VRamSizeTest utility, as it also allocates some HDD space, which can affect your SSD's life. Use the VRamSizeTest utility if the game is installed on an HDD to correctly determine the amount of memory that can be allocated to the game. 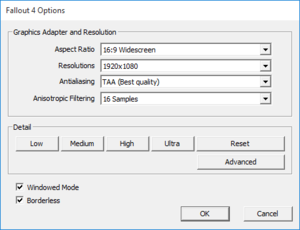 Some users report that borderless windows setting along with frame limit increase FPS stability in the game. Improves frame pacing, introduces texture caching system to reduce VRAM consumption, eliminates texture streaming bottlenecks and prevent memory fragmentation. Stores up to 1 GB of game saves online (maximum 1000 files). Supports 16:9 and 16:10 only. Use Flawless Widescreen or TruBy9. 80° horizontal. Use Flawless Widescreen or see Field of view (FOV). Missing widescreen resolutions. See Widescreen resolution. FXAA and TAA in launcher. Can see SMAA for alternative anti-aliasing. Enabled by default, may cause input lag. See Vertical sync (Vsync). Going above 120 will cause some major physics issues at higher frame rates. You may experience some between 61-120, but it's much more rare. If you must go over 60, lock the frame rate at 120 with something like RivaTuner. 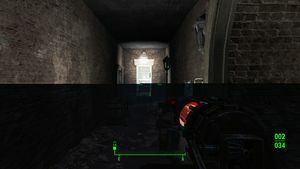 fDefault1stPersonFOV controls first person camera and PipBoy, fDefaultWorldFOV controls third person camera. 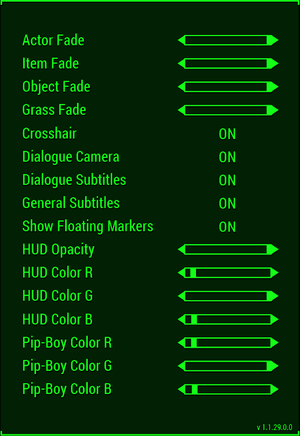 Modifying fDefault1stPersonFOV will also modify PipBoy's field of view which might be an undesirable side effect for some users. In that case consider using Flawless Widescreen. Under [Display] change iPresentInterval to 0. Disabling vertical sync will cause frame rate to exceed 60 FPS which may cause physics issues and make the game unstable. See Frame rate capping. Will cause underwater effects to disappear. In-game TAA has a blurriness that disorientates some people. Injected SMAA gives a crisper picture, also has smoother edges than FXAA. Vertical sensitivity is lower on widescreen monitors. See Vertical sensitivity. Use the Playstation 4 Buttons (Ps3 and Ps4) Mod. Most languages are region locked by default. Master, voice, music, sound effects, footsteps, and radio. Available in English, French, Italian, German and Spanish in most European countries. Russia and Poland are limited to Russian and Polish, the English language is also available. The global version has all the languages available, an example is purchasing the game on Green Man Gaming which has all languages, even Japanese. Asia only, not included in Japan. Europe and North America only. Japan only. No other languages are included. Central and South America only. Fan audio dub (machine translation) on Zone of Games. Europe, North, Central and South America only. See Helix Mod: Fallout 4. This issue blocks the continuation of a quest-chain. Approaching the quest objective will result in a crash to desktop without any errors. As of current, if you wish to progress the quest-line, you will have to teleport into the related building and then teleport to an area that does not crash the game. Open the console and enter player.moveto 00064dfc. Walk around until character of interest spawns. Deal with the situation accordingly. When you're done with your business inside the building, open the console and enter coc sanctuaryExt. You may walk freely within the building, but exiting it will crash the game. This issue may block the continuation of a quest-chain. You may speak to characters inside the building if you enable noclip: open the console and enter tcl. To exit the building afterwards, as the doors did not spawn in, you must teleport to another location, i.e. coc sanctuaryExt. Inside of Fallout4Prefs.ini, change iVolumetricLightingQuality= to iVolumetricLightingQuality=3. Or set god rays quality to Ultra in launcher. Ultra quality god rays at same performance as low setting. Pixelation fix won't work at lower qualities. Value must be set to ultra. Open the Fallout 4 launcher, then under Options, select Advanced. Check the Screen Space Reflections checkbox as well as the Wetness checkbox. Unchecking Screen Space Reflections while Wetness is checked, Could result to this problem, whilst raining. Ultra-widescreen and 4K Ultra HD resolutions are affected by this bug. Find the following line, and set it to this value. Press ⊞ Win+R and type control input.dll then select OK.
Click on the Add a language button, then find the English language and Double Click on it. Select English (United States), then push the Add button located on the bottom right side. Press Alt+⇧ Shift to switch to the English keyboard layout. Launch the game and push ~. Alternatively, Spanish/Latin American keyboards can open the console using Ñ instead, without changing any settings. This is due to Aero's double buffering. Choose a Windows Aero theme. GPU load at the loading screen will be higher. See Dynamic Performance Tuner and Load Accelerator. These ports are used to communicate with the Pip-Boy app. Havok, Nvidia FLEX Nvidia FLEX used for optional weapon debris and is exclusive to Nvidia GPUs. ↑ 1.0 1.1 File/folder structure within this directory reflects the path(s) listed for Windows and/or Steam game data (use Wine regedit to access Windows registry paths). Games with Steam Cloud support may store data in ~/.steam/steam/userdata/<user-id>/377160/ in addition to or instead of this directory. The app ID (377160) may differ in some cases. Treat backslashes as forward slashes. See the glossary page for details. This page was last edited on 23 April 2019, at 11:49.